Ketapang is a large (3.1 million hectares) regency in West Kalimantan, Indonesia, in the midst of an exciting period in its economic development. 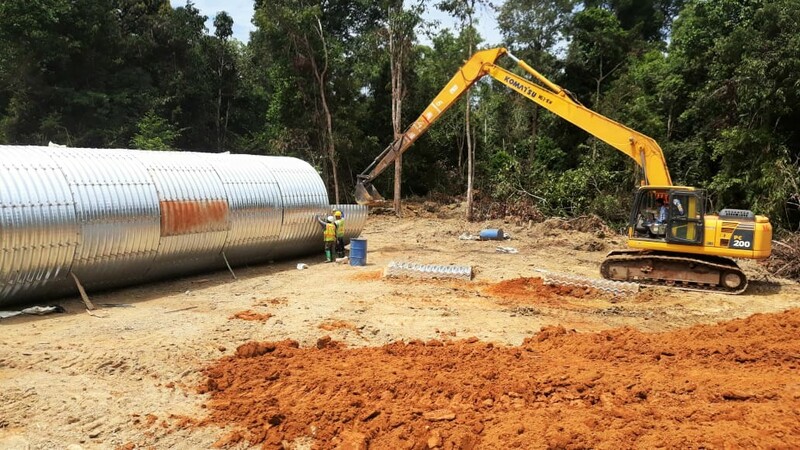 Oil palm, rubber, wood and bauxite (aluminium ore) are the major commodities involved. 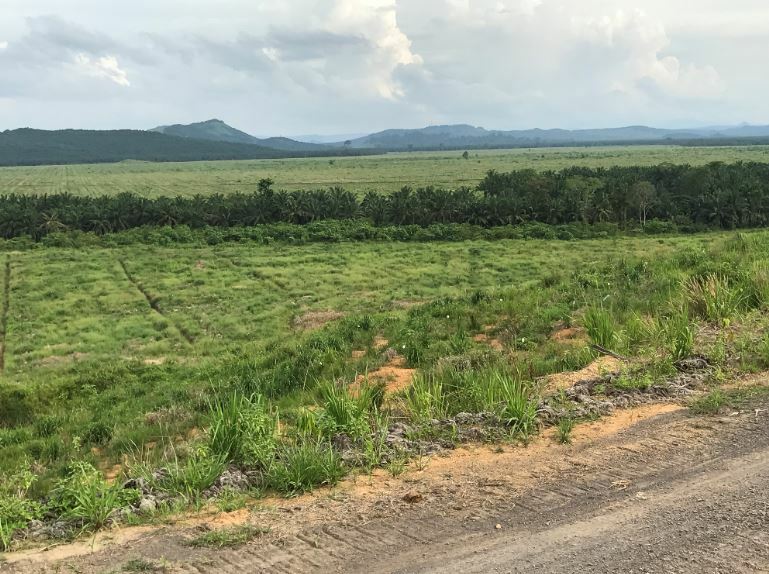 Cultivating oil palm currently receives the biggest global criticism, yet in some localities bauxite mining and large scale removal of logs from peat swamp forest represent greater threats to orangutans and nature in general. On the western coastal plains between Ketapang city and Gunung Palung National Park, a region formerly abounding in orangutans, efforts to form a multi-stakeholder (oil palm grower, local community, NGO, local government) wildlife corridor between Sungai Putri peat swamp forest and Gunung Tarak protected hill forest are being undermined – literally – by bauxite mining interests. The Sungai Putri landscape is one of the last remaining havens for orangutans, as highlighted by Foresthints.news. At the south end of the corridor, one of the last areas of forest on peat in this part of Borneo (Sungai Putri, 50,000 hectares with 1,000 orangutans) is threatened by logging activities and an inappropriate massive drainage system within the peat to extract native trees for replacement with industrial wood plantations. The corridor concept is now at serious risk of failure due to just one mining company and one timber company. This poses a real dilemma for government which rightly wishes to promote economic development and jobs. At Kendawangan, on the very south-western tip of Borneo within Ketapang regency, NGOs, oil palm and industrial tree plantation interests are working together to build on the existence of the now very degraded Muara Kendawangan Nature Reserve (150,000 ha), to develop and implement a sustainable land use plan that will include conservation and restoration of natural habitats on the plantation lands, as well as protection of the buffer zone between the plantation lands and the Nature Reserve, with multi-stakeholder engagement and empowerment. PONGO Alliance hopes to add an extra voice towards nature conservation in both Putri-Tarak and Kendawangan, focusing on orangutans and ecological connectivity, and leveraging on the growing interest of oil palm growers to help in supporting effort of the local authorities. 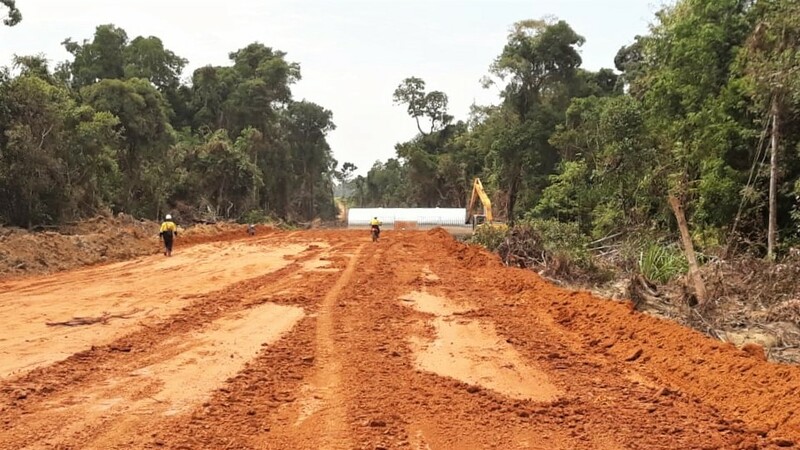 In August 2018, bauxite mining company, PT Laman Mining built a road through the forest "set-aside" of PT Austindo Nusantara Jaya ( a forest area that was excluded from the latter's oil palm concession for orangutan conservation). In 1984, the government of Sabah made a profound decision to allocate half of Sabah as permanent forest and half for development. The specific half allocated for development coincided with the area containing the highest population densities of orangutans, not surprisingly as high orangutan density coincides with high soil fertility and suitability for oil palm. Thus, the scene was set to eliminate well over half of the original orangutan habitat. Superimposed on this is the fact that since the 1960s, efforts to protect and conserve orangutans focused heavily on moving individual orangutans out of private lands into protected areas. This approach may satisfy animal welfare concerns, but has limited value population management. In the past decade, another approach has involved restoration of degraded orangutan habitats within Forest Reserves. The Kinabatangan landscape area covers about 5,000 square kilometers, consisting of the Kinabatangan river floodplain and adjacent lands to the north and south. Vegetation cover in the landscape has now almost stabilized over a period of 40 years, with about 90% under oil palm plantation, 9% natural forest and unplanted swamp, and 1% villages. As shown in the map above, the north-eastern boundary is delimited approximately by the boundary between dry land and mangrove wetlands. The south-eastern and southern boundary is defined mainly by the boundary between the Kinabatangan and Segama river catchments. The western boundary is defined by the borders of production Forest Reserves. About 10% of the total area is forest and most of the balance under oil palm plantation. 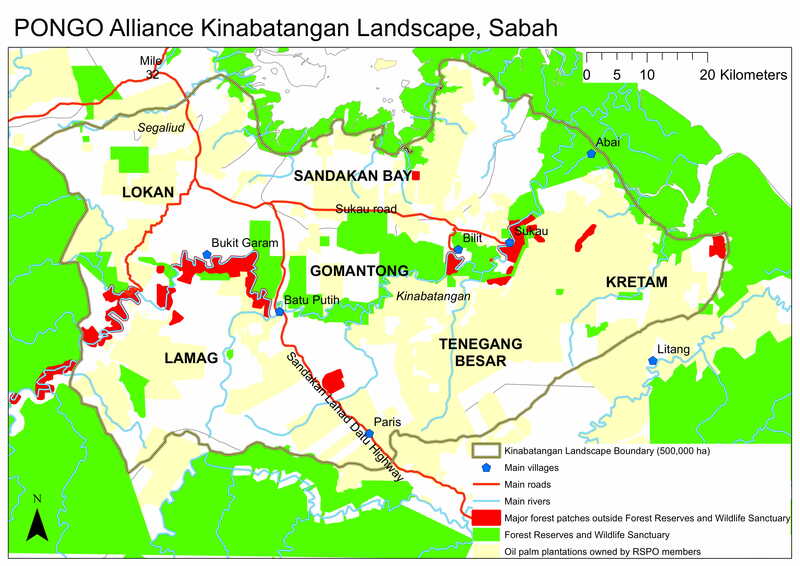 Six zones are mentioned (Lokan, Sandakan Bay etc) which simply denote different parts of the Landscape for the purpose of implementing PONGO Alliance work on the ground. The towns of Sandakan and Lahad Datu lie off the map, a few kilometers to the north and south respectively. It is estimated that about 800 orangutans live there now, representing 10% of the original orangutan population size. Most live in the residual forests legislated by government as protected areas. In the absence of new measures to bring continuity to the fragments clusters of orangutans, these protected areas are believed to be too small and scattered to be able to support a viable orangutan population long term. 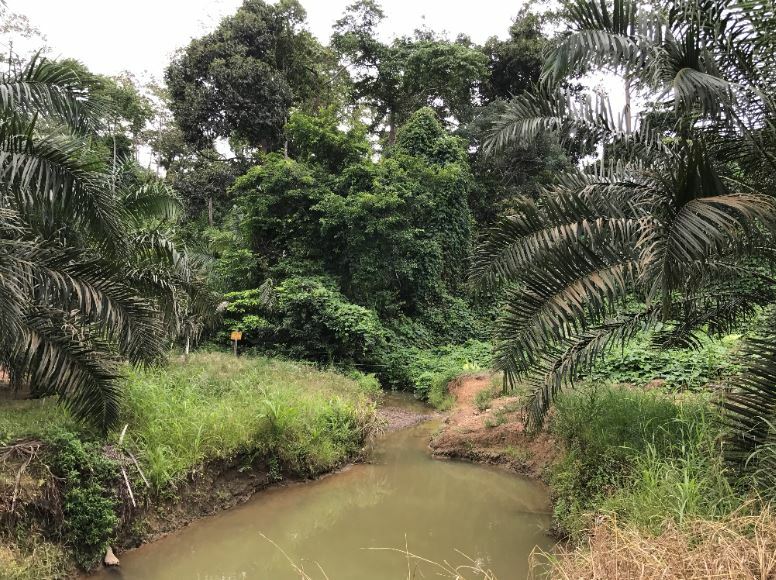 Observations in recent years show that some individuals spend part of their time in oil palm plantations, including mothers with babies, as well as travelling males. It seems that the younger generation of orangutans could learn to live in a mix of oil palm and forest, if steps are taken to provide more orangutan foods on a large scale within plantations, and to stop people from harming or removing orangutans from oil palm plantations. 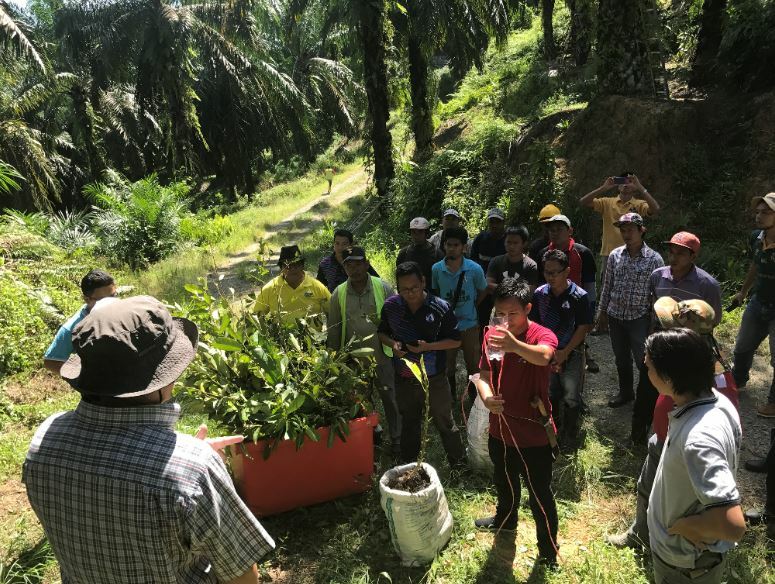 The new paradigm seeks to put in place conditions whereby targeted nature restoration work can ensure that a wild orangutan population will be able to survive long term in the Kinabatangan landscape. Old oil palms along rivers can be retained at the time of replanting the palms, and be used as a substrate for adding orangutan food plants at low cost with minimal maintenance. A briefing by BORA (Borneo Rhino Alliance) on marcotting fig trees.